The need for sustainable agriculture is at the forefront of conversation now more than ever. 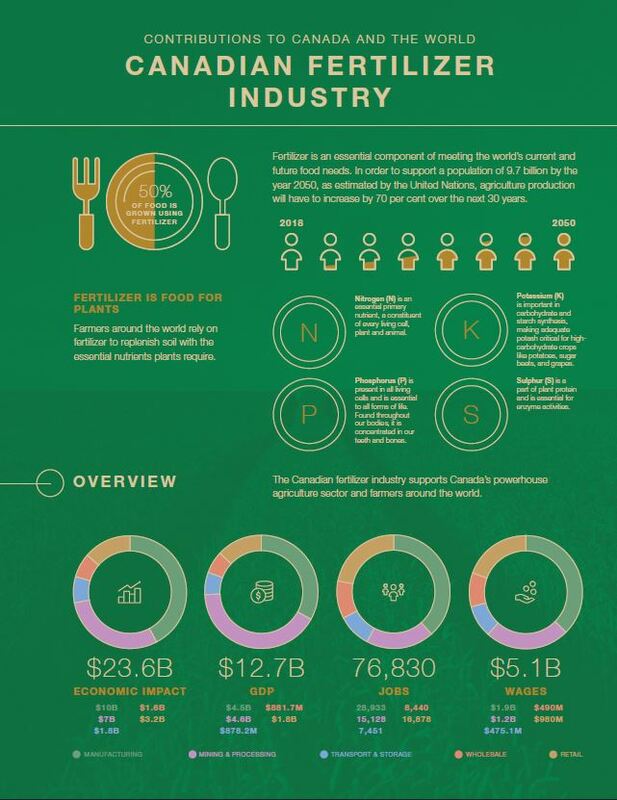 This marketing guide will help you and your employees communicate the vital role that fertilizers play in creating sustainable agriculture to feed the future. Fertilizer Canada has created the Canadian Fertilizer Industry Quiz as a fun and interactive way to promote facts about our accomplishments as a celebration of Global Fertilizer Day. Include the hashtags #FertilizerDay and #4R in social media posts leading up to and on Global Fertilizer Day. Also, be sure to follow, tag and retweet @FertilizerDay and @FertilizerCA. Fertilizer Canada is encouraging members to tell their personal stories about working in the industry. Using the hashtag #FertilizerProud, this campaign is a way for our industry to celebrate the many reasons why we should be proud to work in fertilizer. 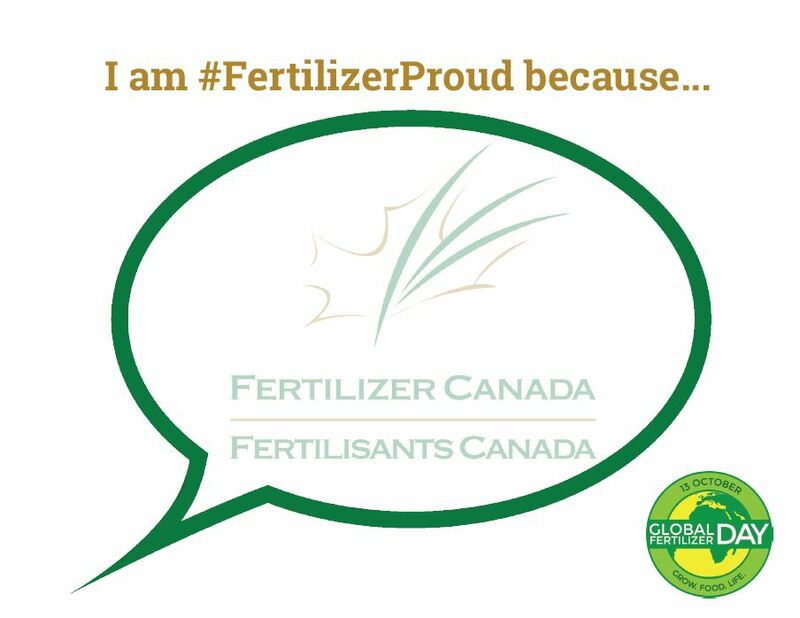 Print out the quote bubble, in a few short words describe why you are #FertilizerProud, take a picture and share with your social network. Including visual resources like posters, infographics and videos in social media posts can help increase visibility. Share these videos in your Global Fertilizer Day posts to help spread the campaign’s message. 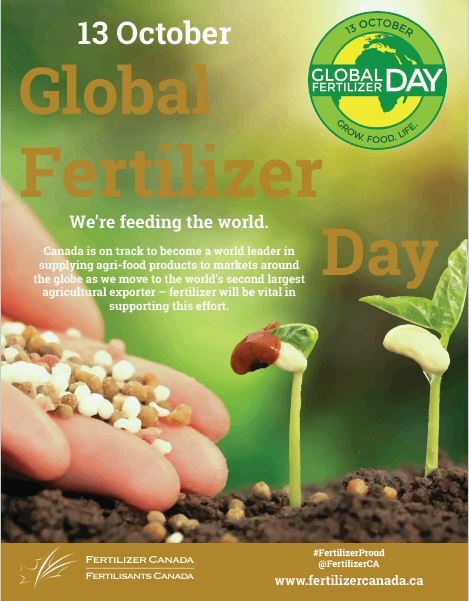 Click the links below to find out more about how your company can celebrate Global Fertilizer Day.